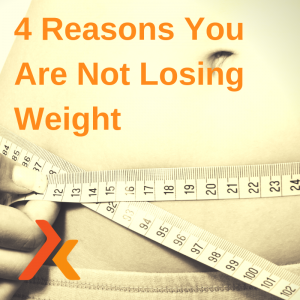 4 Reasons You Are Not Losing Weight. You know which foods are good for you and will take you closer to your goals. But are you frustrated and feeling like you are eating healthily but not getting the results you really want. Here are 4 common reasons. Mindless eating. Stressful snacking. Night Time Nibbling. Are you eating healthy meals BUT mindless snacking between meals when you are not hungry? Do you feel bouts of “micro stress” during the day and find your self eating for a quick comfort fix? Even if it’s healthy food or snack you may do this multiple times through the day. All these calories add up and will take you way over your daily calorie amount. Be aware today of how many times you put something into your mouth between meals when you are not hungry. Are you stressed? Even if it’s just a quick stress moment do you reach for food? Awareness is key. Once you realise you are doing it you can stop it. Did you get a good 8 hours of unbroken sleep last night? If not lack of quality sleep month after month will have a huge impact on your hormone levels, your appetite, your mood and cravings. When you are sleep deprived you eat more and make poor food choices. Work on your sleep routine this week. Switch of your phone before bed and dont have it in your bedroom. Daily exercise is crucial for speeding up your metabolic rate. Burning calories, increasing muscle mass and body composition no forgetting the impact of your mental health. In 2019 The home exercise market is growing exponentially. With apps and Youtube, more people than ever are working out at home, it lowers the barrier to exercise and you can just roll out of bed and do a workout. It doesn’t matter if you are experiencing BIG HUGE stress or small low-level daily stress. Stress has huge implications for your hormonal health, appetite, mental health, physical health. It chips away at your physical and mental health. Make a list of EVERYTHING that causes you stress. Can you take small steps every day on combating stress? Do you need to change things? Your daily routine? Your goals? I am looking for women 45 + to trial the 7 Day Lift Lean On Line Programme. Last week we trialled the 7 Midsection Meltdown and this week I’m looking for women to try the 7 Day LIFT LEAN with the 5:2 Diet. It’s only £15 CLICK HERE to read all about it and you can start today or next week or whenever you want. This is for you if you are 45 +, Struggling to get on track with nutrition and exercise, feeling stressed and overwhelmed trying to get the gym or classes, feel you are running out of time every day, have a LOT going on in your life and feel stressed.